SanDisk Cruzer Glide 64GB. Retractable connector - no cap. 64 GB capacity. USB 3.0 interface. Model SDCZ600-064G-A. 1 USB 3.0 2TB Flash Drive. Compatible with PC, Notebook, -MAC. Compatible with PC, Notebook, -MAC. Actually available 32GB Hot plug & play. Support Windows 7/8/10, Windows Vista, Windows 2000, -Mac OS X, Linux. 1 USB Flash drives. Warranty does not apply to conditions resulting from misuse, abuse, negligence, accident, improper application, improper installation or alteration. USB connection,support Hot plug & Play. Capacity 128GB. Data retention Over 10 years. Interface USB 1.1/2.0 Compatible. Reading Speed(USB2.0) 8-20mb/s based on different capacity. Storage Temperature -20°C~ 55°C. Storage Relative Humidity 20% ~ 93%(40°C). 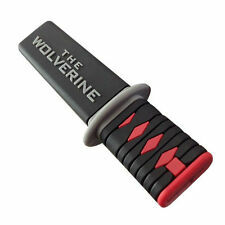 1 x 1TB Flash Drive USB Stick. Holds countless amounts of data, music, video, images etc. Capacity: 128 GB. Interface: USB 2.0. 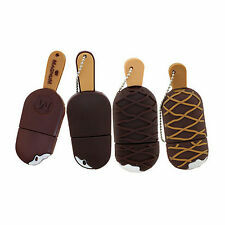 Key chain design and easy to carry. Hot plug & play. Support Windows 7 / 8, Windows Vista, Windows 2000,Mac OS X, Linux. Compatible with PC, Notebook, -MAC. Hot plug & play. 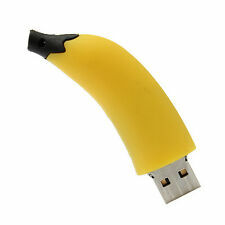 A USB flash drive, also commonly known as a thumb drive or a memory stick, is a type of portable data storage device that fits directly into a USB port. 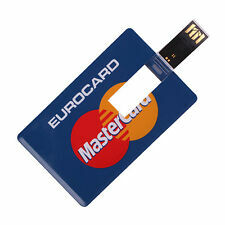 It can back up, store, and transfer important data and make that data available to other devices with USB ports. USB drives tend to favor speed and convenience over absolute storage space; discover the wide selection available on eBay. External flash drives use what's known as "solid-state" storage, which can store, back up, and retrieve data using only electronic circuits. Solid-state drives do not contain any moving mechanical parts, which enables them to access data quickly and easy. A typical flash drive allows up to 100,000 write/erase cycles before the integrity of the data starts to degrade. This translates to around a 10-year lifespan, depending on how much it is used. How much storage space does a portable USB flash drive provide? 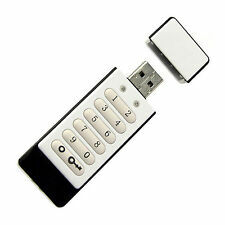 USB flash drives are only limited by the cost of the storage space and the physical constraints of the drive. Some of the cheaper flash drives can store less than a gigabyte, but modern high-end flash drives can store as much as 1TB of data, about equivalent to a typical hard drive. A standard external USB drive can store or backup around 64GB, 128GB, 256GB, or 512GB of data. As storage space increases, USB flash drives have become proficient at storing massive files such as ultra high-definition videos that display at 4K or even 8K resolution. What are the benefits of an external USB flash drive? Compatibility: The biggest advantage of USB drives and memory sticks is that they are fully compatible with all computer device or hardware that has a USB port. This includes desktops, laptops, video game systems, video players, entertainment systems, and even a number of smartphones and tablets. Easily recognized: The external flash drive is automatically recognized by all types of devices. No installation is required. Simply by plugging the flash drive into the USB port of your device, you can transfer, store, and back up your files, regardless of format. Durability: Without any fragile moving parts, the drive is less prone to breaking down. They are also more resilient to scratches, drops, dust, mechanical or electrical interference, and extreme temperatures. Storage and Transfer: A portable flash drive can be used for long-term storage, but they are better at temporarily transferring data between devices. They are especially useful for businesses that need to relay data between different workstations. Discover the perfect backpack, dorm room decorations, study supplies and great USB flash drives to prepare for going Back to College.